If smartwatches from major fashion watch brands are going to top Christmas wish lists this year, it is going to take more than just technical innovation and classier designs. It will need a massive push from wholesalers to ensure the timepieces are available in stores across the country, training of retail staff on how to sell the more technical pieces with confidence, and merchandising advice on how to present them. 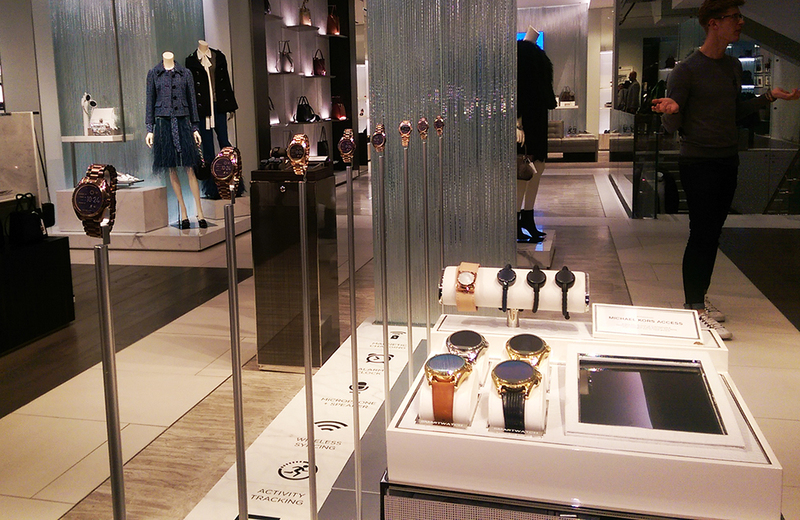 Michael Kors smartwatches from Fossil Group are a case study in how to get this done. 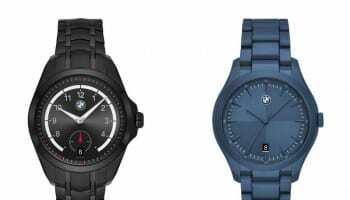 Its Access smartwatches are stylish enough to catch the eye of fashion-conscious millennials that might be tempted to return to the brand. Fossil is successfully partnering with major multiples Ernest Jones and Beaverbrooks to ensure nationwide coverage. And it is reaching out to more independents, according to Fossil UK managing director Richard Collins. What independents really love is to stock watches that are certain to pull punters into stores, which means that Fossil needs to create buzz for Michael Kors Access. The early signs are good that this is working. Mr Collins told WatchPro that sell into distribution has been excellent, but also sell-through is already looking strong. A graphic example of how important Access is to Michael Kors is the prominent position it has given the smartwatches in its flagship fashion store in London’s Regent Street. 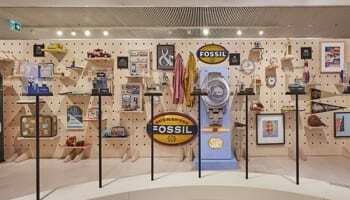 Fossil has worked with the fashion brand to create a massive retail display (pictured above) that is positioned straight in front of the Regent Street store’s entrance. It is the very first thing that shoppers will see – before they get to the handbags and apparel. It is too early to say whether Michael Kors Access will become a transformative success for Fossil, but the sophisticated design, technology, distribution, merchandising and marketing give it a very good shot this year. Michael Kors shoppers want high fashion at affordable prices. 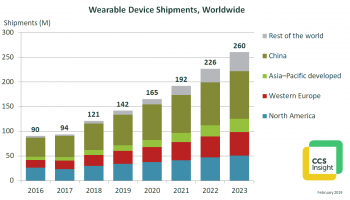 Access smartwatches could fit with its younger devotees.